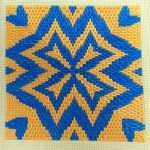 Stitch and Bead will meet on the first and third Tuesday of the month from 3 to 5 pm in private homes (May 7 and May 21). We continue to make and gift preemie knitted caps and bereavement blankets for Memorial Hospital and also work on our own projects of beading, knitting, crocheting, needlepoint and any needle art project. Be inspired by other’s creative endeavors, learn a new stitch, teach a new stitch, but do come and enjoy the good company and conversation of fellow Landlovers needle artists! Please contact the chairs to be on the contact list and you will receive an email with the place of the next meeting and a request to RSVP. For further information, contact chairs Jayne Rogers (203.273.9776 or jmrogers341@gmail.com) or Kathy Silbert (598.9566 or kathysilbert@gmail.com).